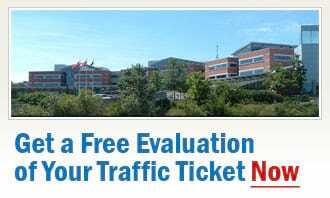 If you have received a traffic ticket in Orillia, Ontario, and you now need to know what options you have for fighting the charges and avoiding demerit points, then you have come to the right people: Ticket Defenders®* is a team of professionals - a team of straightforward, hardworking experts on traffic ticket defence. Orillia area residents know us for solid client representations and high success rates in defending traffic tickets in court. At Ticket Defenders®*, we know that while two traffic ticket charges may be the same, each individual case and circumstances are unique. We always take our time to get to know you, and learn the details of your unique situation. This allows us the opportunity to develop a custom-tailored plan to successfully defend your charges in court. We provide the first consultation at no charge: we will review the details of your case, and explain what we can do for you and how we can help. For your Careless Driving, Stunt Driving, Speeding Ticket, or any other traffic charge, please feel free to contact us for your free consultation today. With the help of our experts on traffic tickets in Orillia, it is indeed possible to protect your insurance rates and driving record, and save demerit points. Do not hesitate, contact us and arrange for your free, no-obligation traffic ticket consultation today.